Have you ever worn braids or crochets, but wanted to dress them up for a night on the town with that special someone or important event? You know how it is, sometimes you may have that last minute date, church function, or even a girls night out . You know you have to look extraordinarily gorgeous in a very short amount of time. Well, look no farther. You can make your crochet braids into an elegant Up-do; meanwhile, still sporting your protective style. Crochet styles have become very versatile. You can wear some of them in Up-do styles; as well as, hanging down. 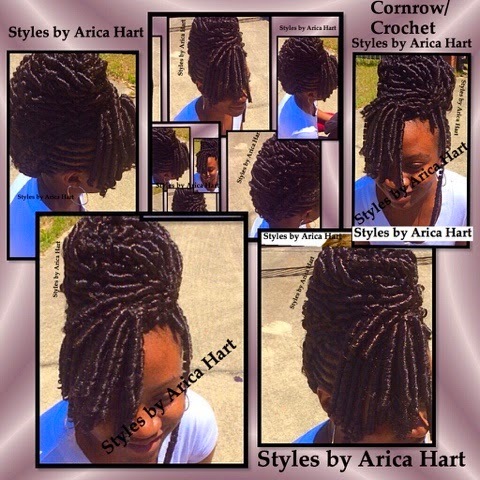 This young lady is wearing a combination of cornrows and crochet braids with a side exquisite bang. She can even let her hair down into a Mohawk when she's ready to be trendy but still classy. Check out more styles on this BLOG & at my Google + business page to stay up to date. 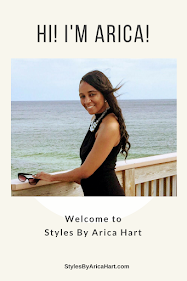 Don't forget to follow your girl +Styles by Arica Hart .. Have a Blessed and encouraged day! !